Just discovered that a post we thought had published while we were both on the road - Debi in Africa, Judy in Cambodia and Vietnam - didn't. With many apologies to our hosts, here is Diggin' Digby Pines Resort. Chronologically it goes between Driving to Digby and Fundy Ferry to Passamaquoddy Bay. 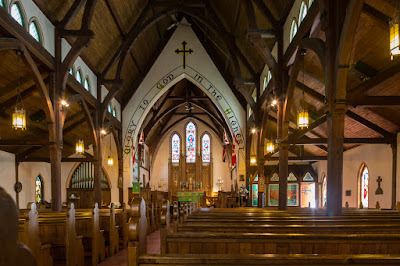 We arrived at Digby Pine Resort and Spa in the late afternoon, a place oozing with character. The golf course and gorgeous gardens surround the main lodge, a 1929 Norman-style chateau. This building offers 85 guestrooms including six luxury suites and common areas. 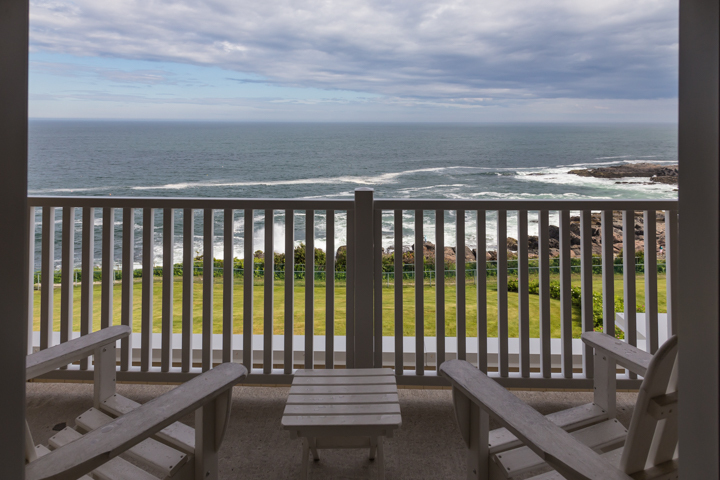 Those wishing a more private setting, choose among 31 one, two and three-bedroom Maritime-style cottages. Each cottage has a homey living room, with a cozy fireplace and spacious veranda. 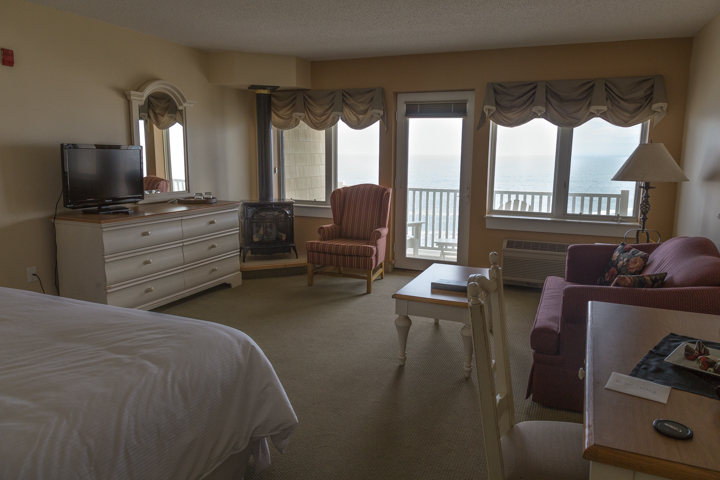 Complimentary wireless Internet is available throughout the property. The lobby takes one back in time though everything has been refitted. I enjoyed the slideshow on the computer showing the Digby Resort back in the 1930's-50's. The veranda is a gracious spot for an afternoon drink, and we found the main bar and restaurant, plus the gift shop downstairs. My room on the third floor offered a King-sized bed and magnificent panoramas of the pool and Annapolis Basin. While the room itself was not over-sized, I felt comfortable there. 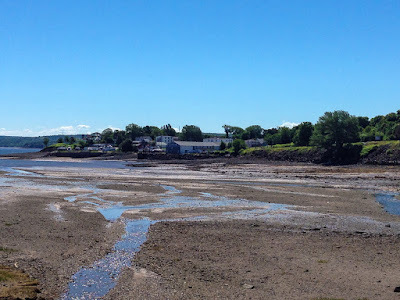 I could see the tiny town of Digby across the Bay of Fundy. 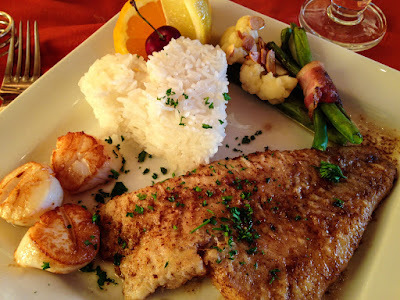 That evening we dined on famous Digby scallops, known among scallop lovers for their tender, sweet, succulent and bigger size. 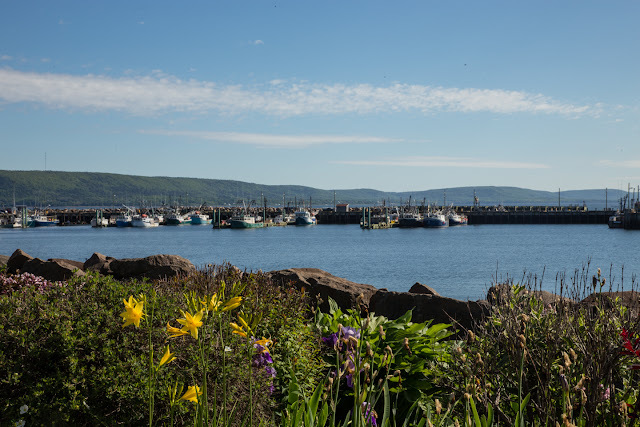 Digby is the Scallop Capital of the World. The Pines first opened in 1905 as a large wooden hotel. During World War I, army officers used the facilities. 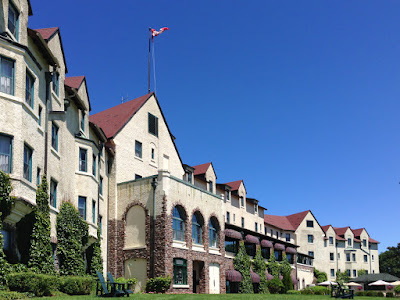 After the war, its new owners, the Canadian Pacific Railway, replaced the original wooden hotel with the present building that opened on June 24, 1929. 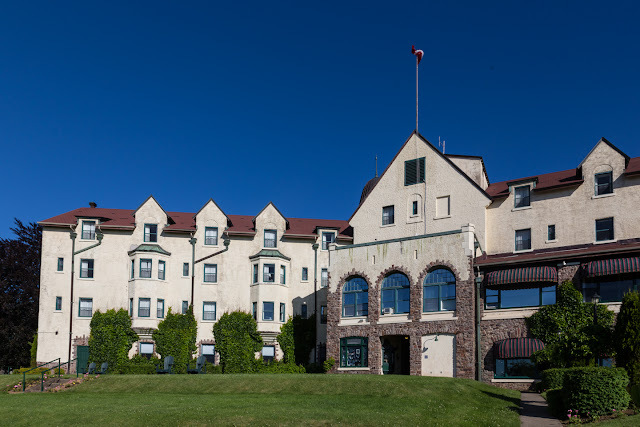 The Government of Nova Scotia purchased the hotel in 1965. In 2001, management by New Castle Hotels and Resorts took over. In 2005, the hotel officially became the “Digby Pines Golf Resort and Spa” in recognition of the past and celebration of the future. 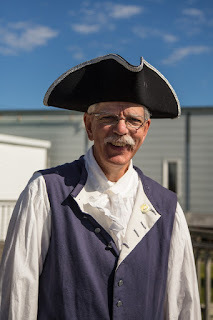 After stepping into the town's Visitor Center, we met Greg Turner of Gael Tours, who led us on a walking tour to discover Digby's Stones, Steeples, Ships & Seafood. Digby was named after Admiral Sir Robert Digby, who organized the original community in the 1760's. The town became incorporated in 1890. Hence, it is celebrating its 125th anniversary. 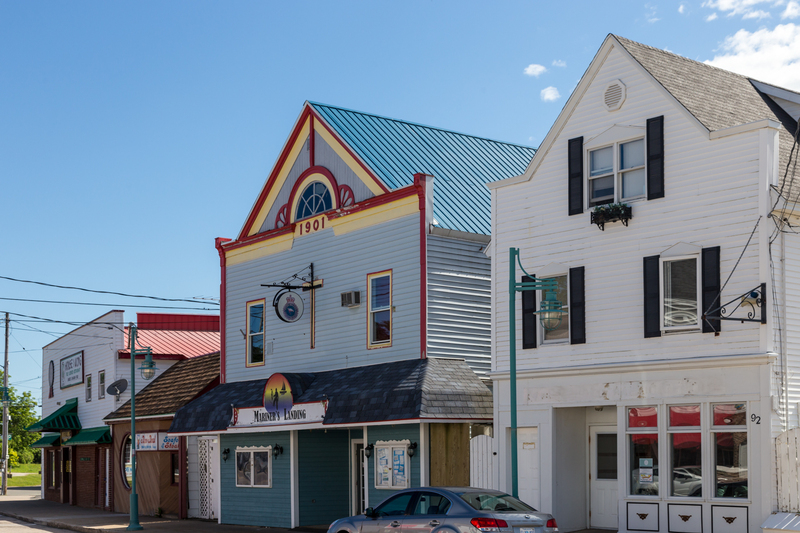 The streets of Digby are alive with maritime history and flavor. We investigated the Admiral's Walk and Boardwalk, Fisherman's Wharf and the fishing fleet. 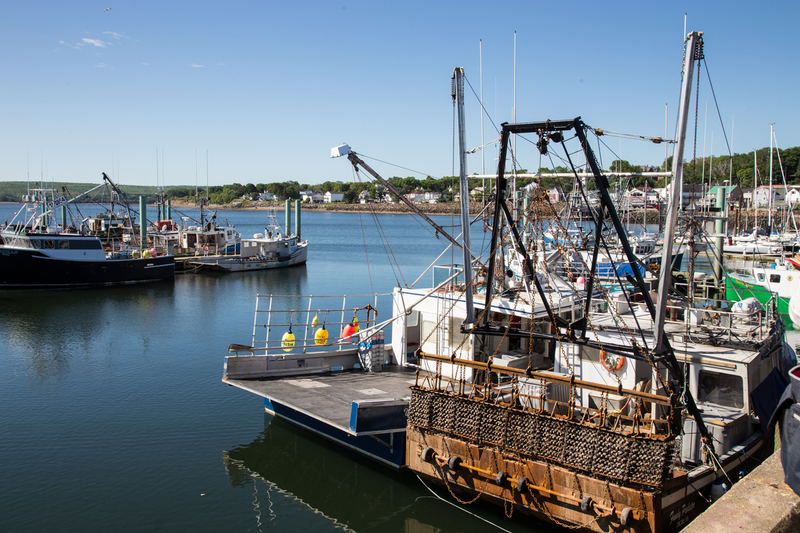 Unfortunately, many of the lobster and scallop boats were out working, and we were too early to see their return. What a shame because I think that event would have been one of the trip's highlights. We did see the much needed steep stairways on floating docks that rise and fall with the incredible tidal changes. 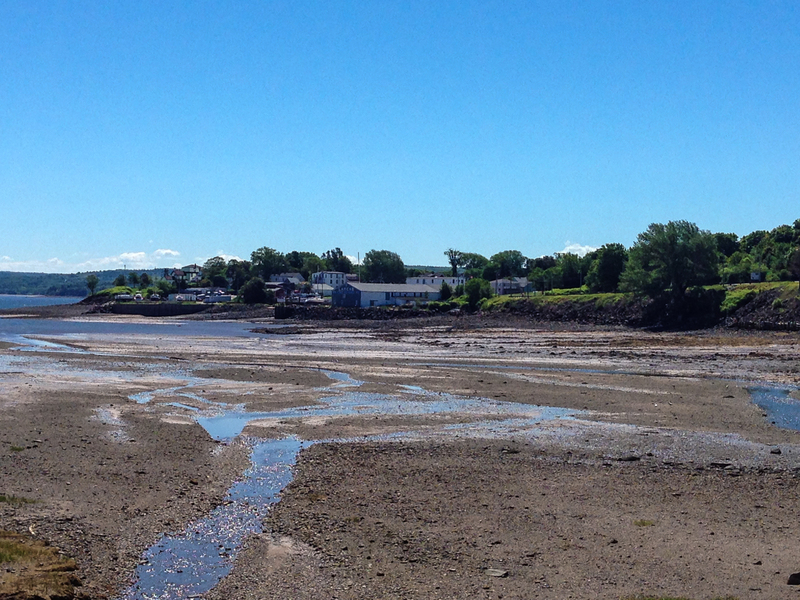 On our drive back to the resort, we witnessed low tide. Whoa- what a change. For anyone who ever read the children's classic book, The Five Chinese Brothers, I swear it looked like my recollections of the brother who drank up the sea. Within our two-hour tour, a tidal pool of tremendous proportion was created. 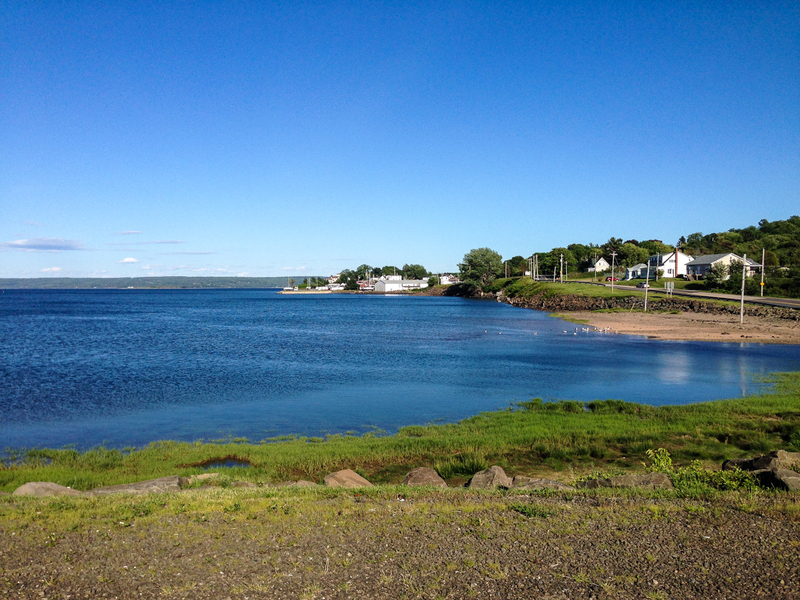 High Tide restores beauty to the shores of Digby. 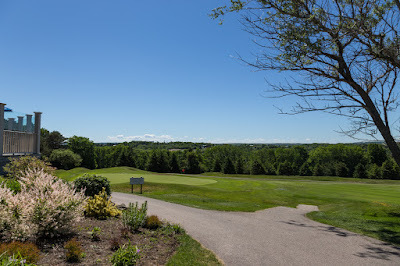 We returned in time for lunch at the 19th Hotel at Digby Pines Golf Course. From this vantage point, the course looked beautiful and not too crowded. What did we pick to eat? 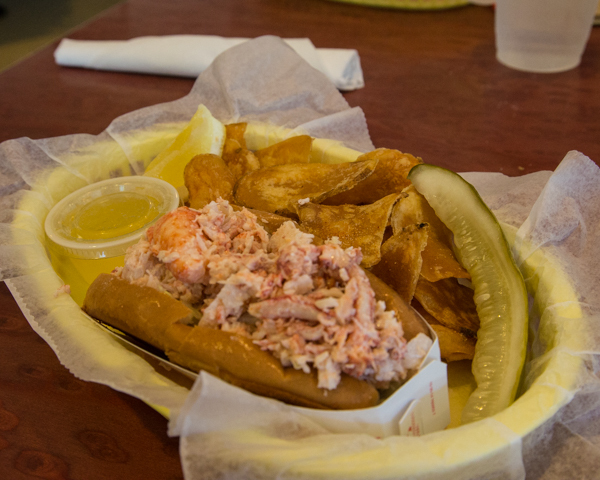 Why, seafood chowder, and a lobster roll, of course! Afterward, the Aveda salon at the resort pleasured us with spa treatments. I indulged in a facial that left me feeling moisturized and relaxed. 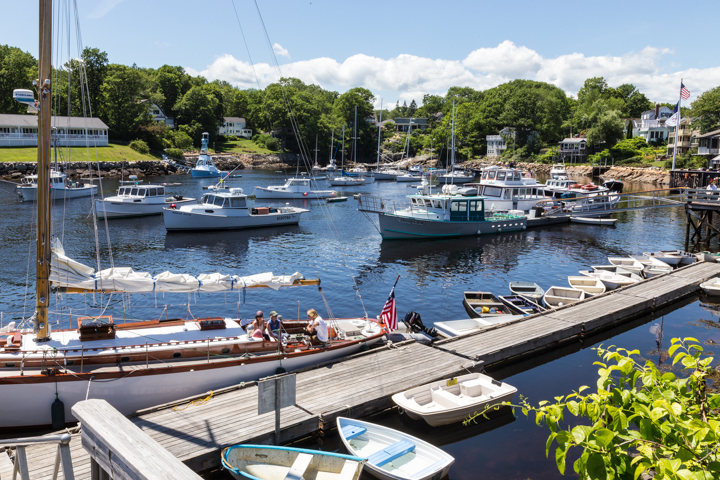 Digby is surrounded by interesting little villages, scenic coves and inlets and other surprises. 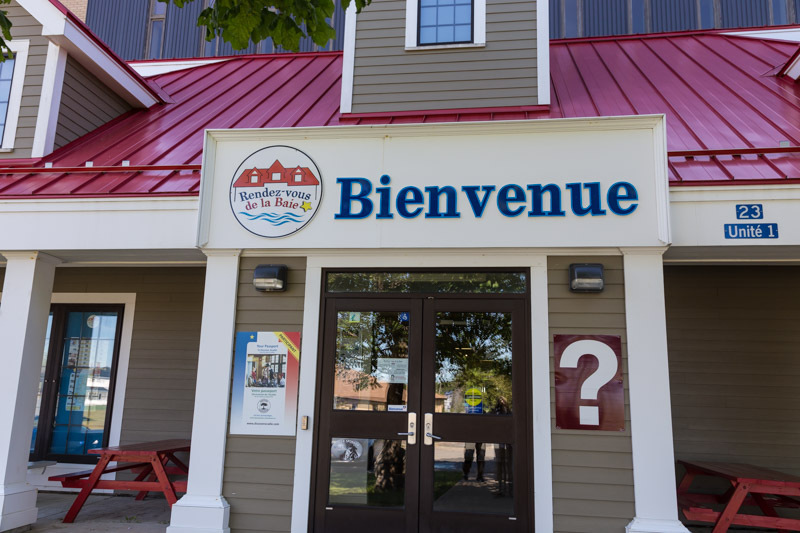 One side trip took us to Rendezvous-vous de la Baie Acadian Interpretive Center in Church Point where Denis and his daughter Isabelle Comeau were waiting for us. Surprise, surprise, they were distant cousins of a friend of Judy's. No surprise, every Comeau in North America is related because they are descended from the one Comeau who came here. We sampled a classic dish, rauture or rattie, grated potatoes and meat stock, tasted dried fish, then learned about the French colonists who stayed in Canada rather than be deported to Louisiana. 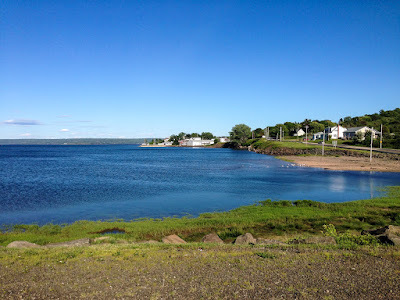 Not too much relaxation allowed, we are working girls, so headed back to Annapolis Royal for dinner at Cafe Compose. The restaurant became a surprising delight. My fish was tender and light; the sauce divine. 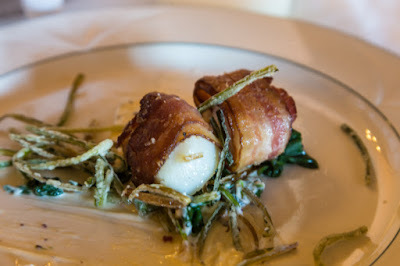 The Viennese owners serve delicious seafood and an audacious apple strudel a la mode. I squeezed in one bite of Sacher torte that was passed around the table, but found it a bit dry. The restaurant offers scenic views of the Bay; however, some tables sit directly in the sun as it sets. The evening ended with a Candlelight Ghost Tour at what is now the Fort Anne Historic Site. 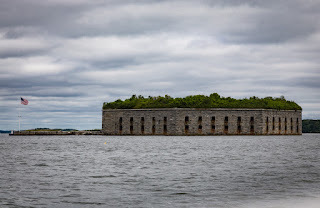 Originally started in 1629 as Port Royal, the area fell to the British in 1710 and was renamed Fort Anne. Heritage interpreter Alan Melanson leads a tour in Garrison Cemetery, formerly used by the French military, Acadians, the British military and the parish of St. Luke’s. The headstones that survive represent only a portion of the total number of people buried in this graveyard. Melanson begins by talking about the traditions surrounding his outfit. He wears a ribbon on his hat called a “Weeper,” given to members of the funeral procession as a gift from the host. Most participants pick up a candle-powered lantern to carry, and as the light fades, the tour sets off, bobbing and weaving through the darkness. The lanterns create a pleasing atmosphere but one that attracts mosquitoes and not one especially adequate for photography. Soon we were being eaten alive and called it a night. 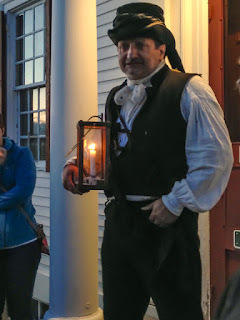 Sadly, Melanson is a good storyteller, and this ghost tour is far better than most. However, douse yourself with bug spray if you want to enjoy the tour of one of Canada’s oldest English graveyards. 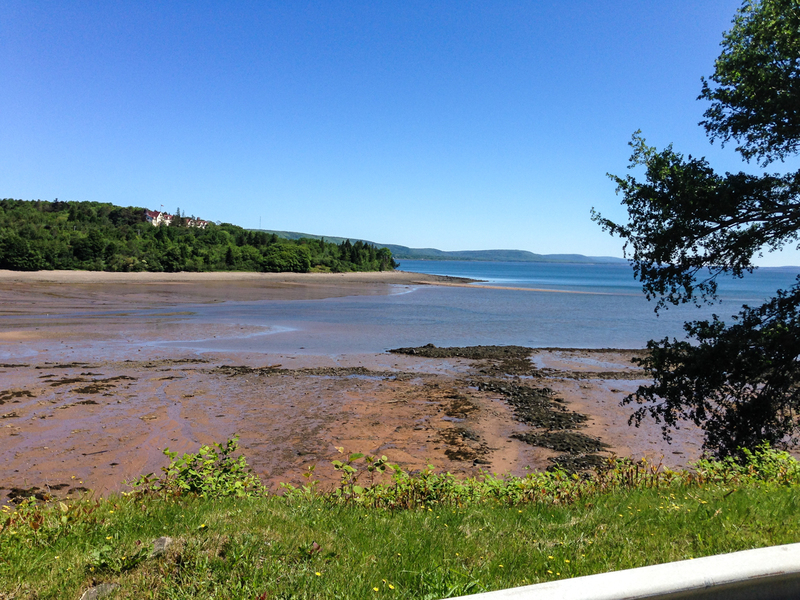 Overall, we dug Digby Pines Resort and the tidal change in the Bay and Fundy is something we will never forget. 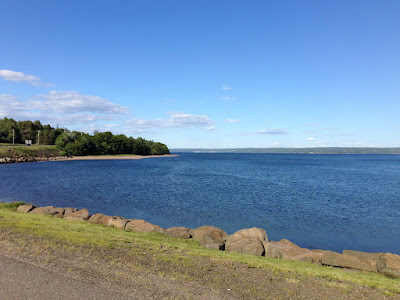 Annapolis Royal also gets our recommendation for a day trip. You've heard of a pub crawl but how about a lobster roll crawl? While in New England, plans called to start one in the late afternoon and eat our way through three restaurants known for their lobster rolls. By the end, I guarantee I was the one with a roll-- hanging over my belt. 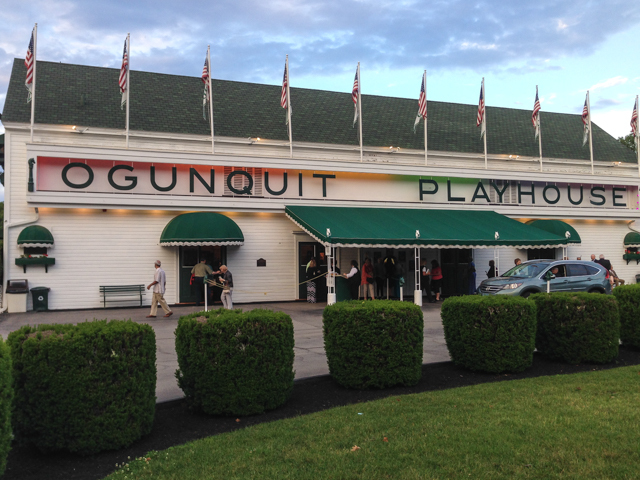 It all started in the quintessential Maine town of Ogunquit. Ogunquit with its Perkins Cove would win the contest for a look-alike Cabot Cove, the charming hamlet of Jessica Fletcher on the old TV series, "Murder She Wrote". It's upper class, preppy, clean and oh so Maine. 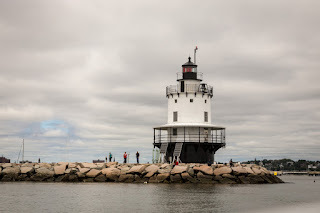 Rocky coastline, lighthouse, walking trails and adorable little shops. First stop: the Lobster Shack. Yes, that is its official name, and an adroit one at that. The seafood shanty has been in operation since 1947, the oldest restaurant in Perkins Cove. 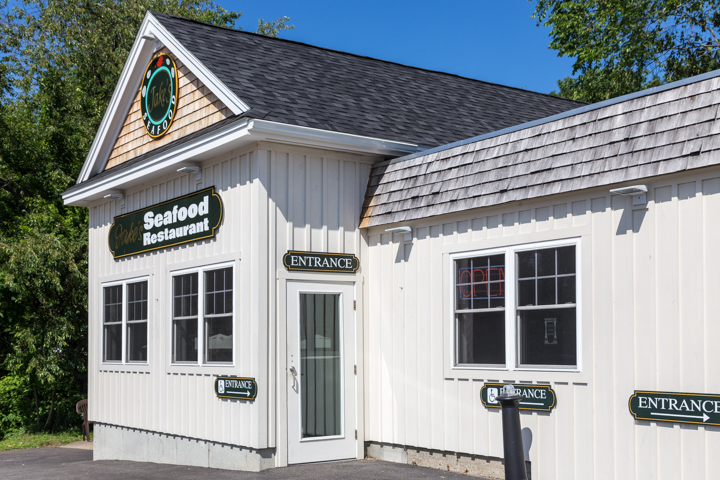 Originally built around 1900, the simple lobsterman's shack housed traps, rope, buoys and other fishing equipment. Over time the building was updated and added to, but was still little more than a storage shed, with no running water, heat, or electricity. 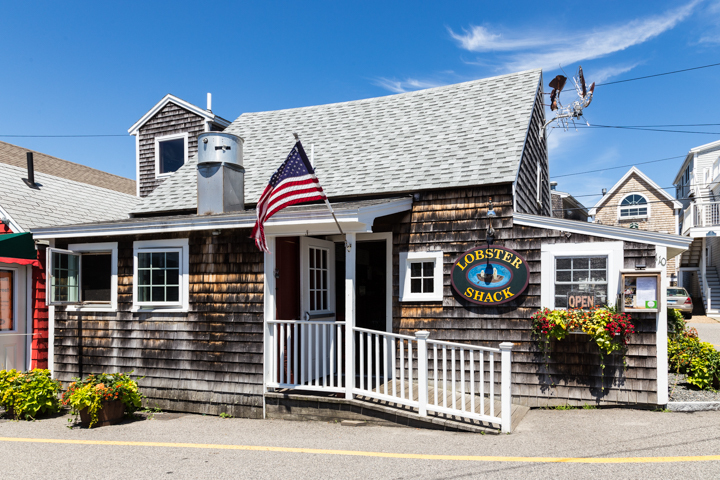 In 1947, the shop was converted into a restaurant called Maxwell Perkins Lobster Pound and remained much the same through the 1950's-60. 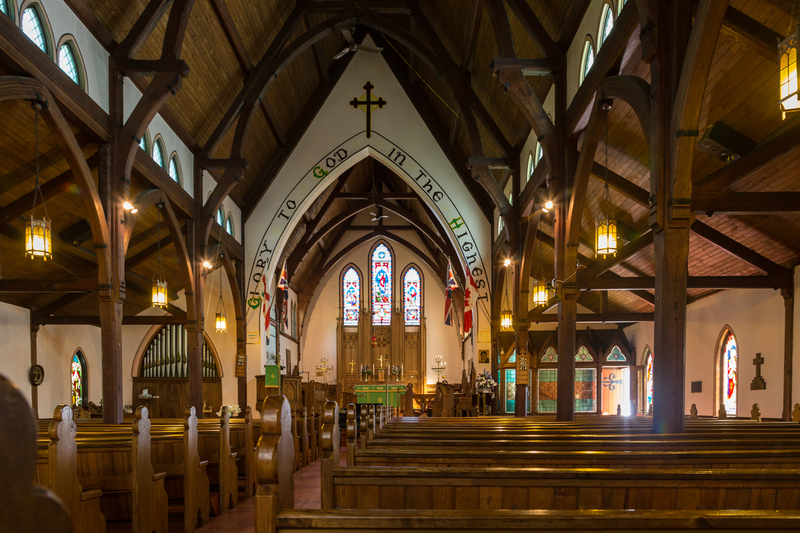 In the winter of 1977 a storm surged through Perkins Cove and did quite a bit of damage to the building, but the original frame remained. This prompted a major renovation that reorganized the kitchen and updated the plumbing, electrical work, and dining room. The “Shack” has been owned and operated by the Evans family since the 1980s. Live lobsters caught by local lobstermen wait in tanks filled with ocean water pumped straight from Perkins Cove. Can't get more local than that! We started off with a cup of seafood chowder made from an old New England family recipe. The kitchen uses no thickening flour, just the perfect combination of clams, haddock, potatoes, onions and spices in a milk and cream base. 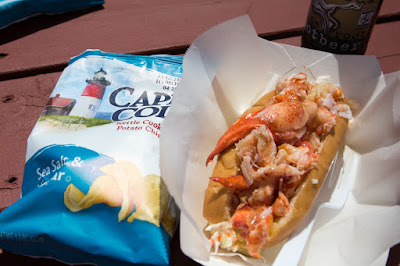 After the chowder, I dove straight in for the traditional lobster roll sandwich. It comes on a buttery toasted roll, mostly lobster meat with or without mayonnaise. I gobbled down about half of it knowing I was in for more. The lobster tasted fresh, tender and juicy- exactly what I wanted. Next we drove on to Jake's Seafood Restaurant in Wells, about two miles north of Ogunquit. 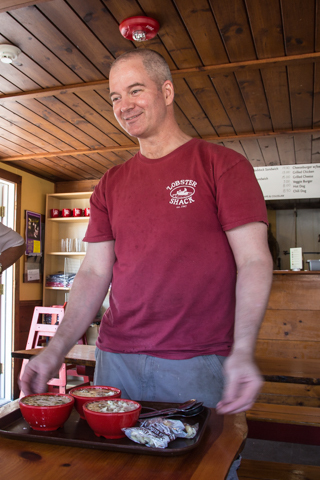 The family-run restaurant stays open year-round and is extremely popular with locals, especially at breakfast time. Believe it or not, they open at 5 a.m. for breakfast, seven days a week. Jake's claim to fame comes from their fried clams and onion rings, but I thought the lobster roll was mighty fine. Only owner Ky makes the seafood chowder because she wants to make sure it comes out right. Jake's lives up to their motto, "Five star dining on a paper plate." The restaurant is also a favorite stop for ice cream, available from the outdoor take-out counter as well as in the restaurant. Finally, we headed in the opposite direction and ended up at Shore Road Restaurant and Market, a seat of the pants operation with a fantastic product. The restaurant is in its first year with a new owner, Jason Johnson, and he is working to make it a go. By all rights, he should succeed. 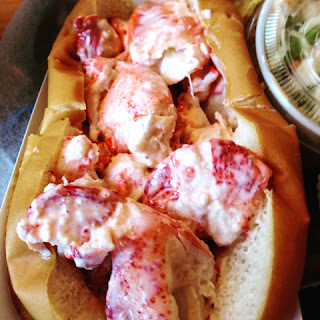 The lobster roll is brimming with succulent meat and sells for an amazingly low price of $9.99. You can't beat it. The little restaurant rests just minutes from York Beach and they serve breakfast, lunch and dinner as well as offer a wonderful little market with fresh produce, dairy, meat, snacks, and wine and beer. Debi says: Could be that I liked the atmosphere in the Lobster Shack and hence rated their product the highest with a 10. Honestly, I would be more than thrilled to eat any of these lobster rolls any day. They were all fantastic. Judy says: I wanted transplant them all back to Florida's First Coast so we could take turns dining on lobster rolls year' round. If I had to pick one it would be Jake's. Loved the overflowing lobster and the no-gimmicks family atmosphere. 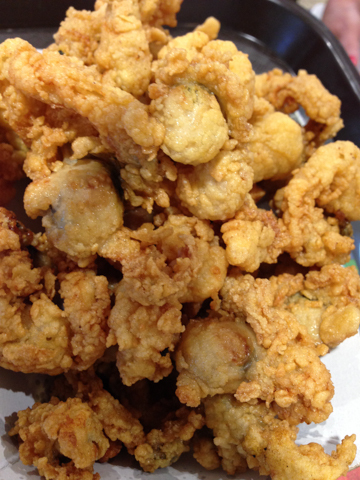 I've had better onion rings but their clams were the best. 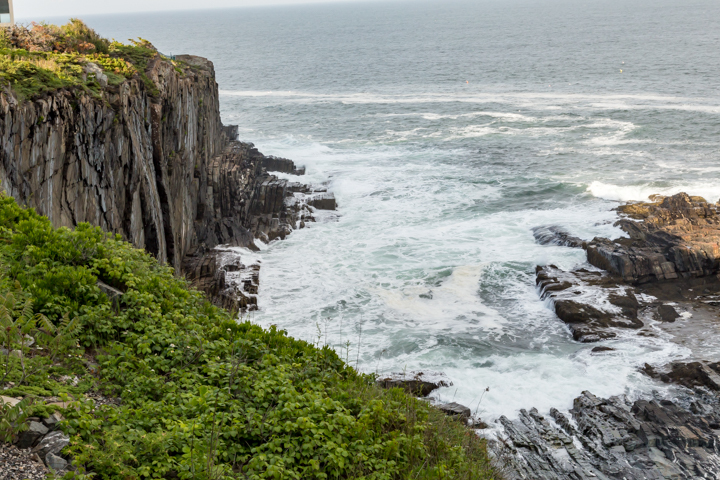 To walk off the feast, we drove to nearby Nubble Lighthouse at Cape Neddick, another spectacular photo-op in Maine. Didn't have time for a tour but this location is gorgeous. We also passed by what looked like fair grounds. 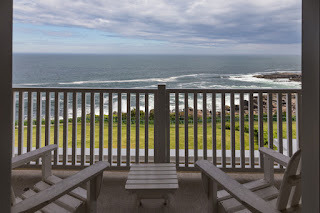 Lastly, we returned to the venerable Cliff House Resort standing high above a rocky ledge (Bald Hill Cliff) with thunderous waves below. 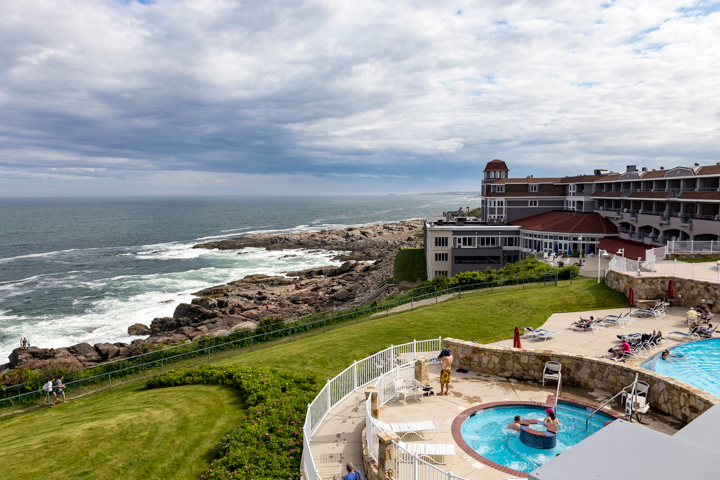 The Cliff House has been welcoming guests since 1872 and is the place to stay for an Ogunquit vacation. However, the resort is closing after this season for a MAJOR renovation, so next July and August (2016) it will be even better. 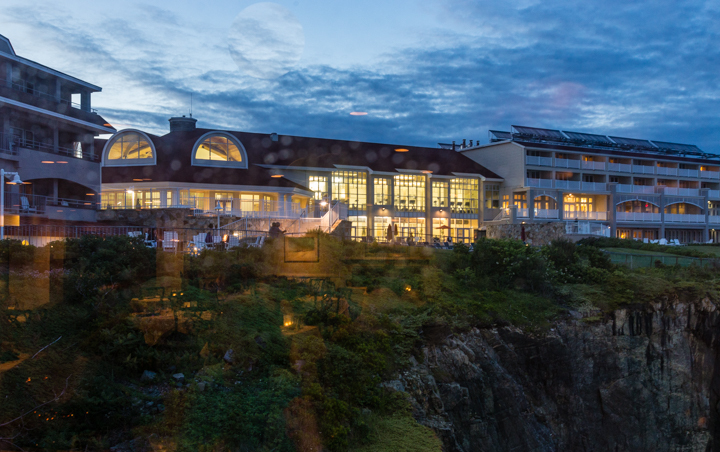 But, remember: location is,as they say everything, and the panoramic vista at the Cliff House won't change. My spacious room overlooked coast, but the highlight of the visit was my facial at the spa. The therapist used Maine ingredients to make a blueberry smoothie mask. Wish I had a photo of my Smurf-like face. The additional sensation of smooth hot and cold rocks sliding across my skin made a fantastic indulgence, highly recommended. To finish our trip we attended a sold-out performance at the Ogunquit Playhouse. For 82 years it has been staging quality summer theater and the current facility is excellent. We watched an amazing cast perform "Victor Victoria" to a standing ovation. No wonder tickets are hard to come by. The next morning the Good Girls were driven to Boston where they hopped a plane and returned to Jacksonville and St. Augustine. We are still raving about our Two Nation Vacation to anyone who will listen; Nova Scotia, New Brunswick and Maine make superior summer getaways. Go soon! It had to happen. 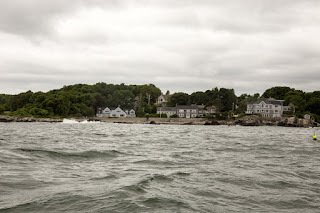 The day we arrived in Maine, the weather changed from gorgeous to gray skies and pounding rain. The kind of day you'd like to sneak back to bed with a book. 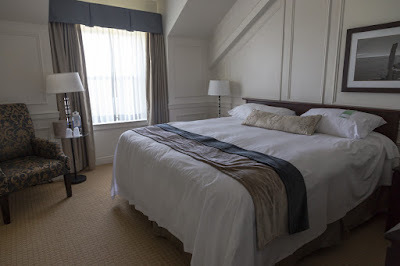 And, we were staying at the Westin Harborview- known for their Heavenly Beds! 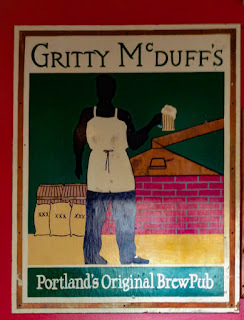 Alas, we only had only one afternoon in Portland and were signed up for a Old Port walking Foodie Tour. Thank goodness, plans were changed; we'd hop in a van between downtown stops. Portland, Maine is a city of only 66,000 people but has 300-plus mostly independent restaurants. 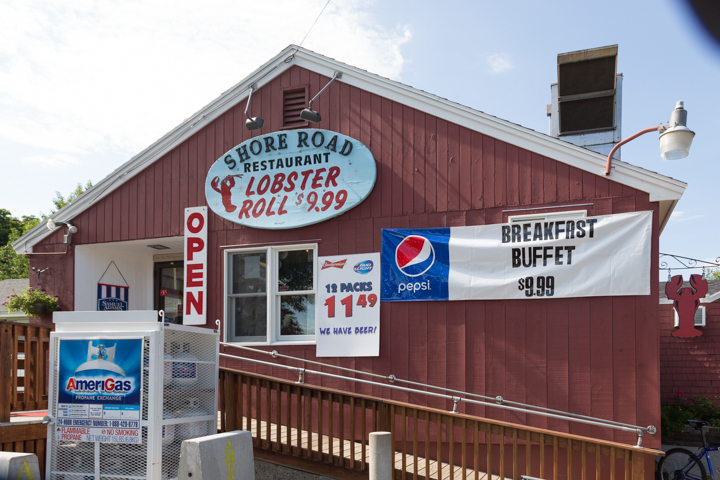 The combination of reasonable, one-year-long rental rates and immediate access to lobster and other seafood has created a foodie haven. The tour , led by knowledgeable guide Christopher Papagni, includes sampling Maine-inspired food. 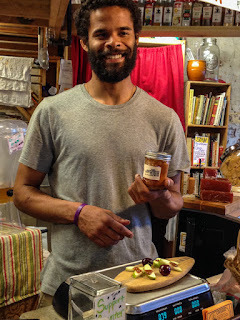 First we hit the Public Market House where a variety of vendors rent space. Artisanal cheese was featured along with a few other prepared foods. 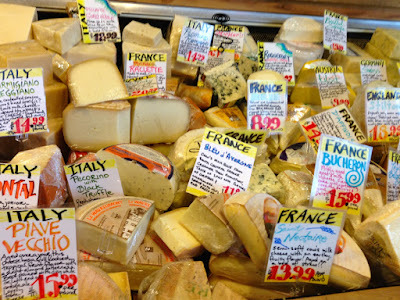 Seems there are some fabulous local cheesemakers around Portland. Next we stopped at Dean's Sweets, a chocolatier who offered us a Needham. 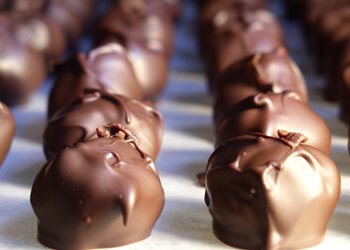 A Needham is a traditional Maine confection made with mashed potatoes, coconut, and confectioner's sugar then dipped in chocolate. We also tasted a truffle; I chose the Chocolate Stout Truffle made with beer. 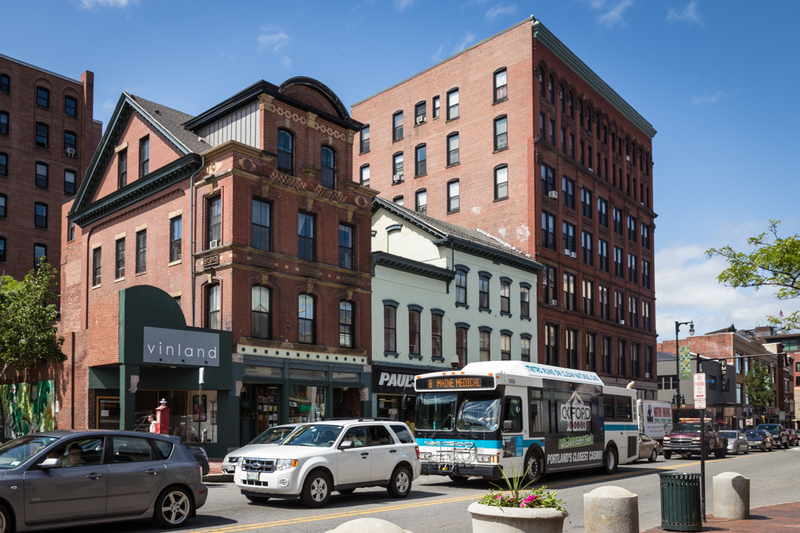 Kristin and Dean Bingham, the charming owners, have been in business for ten years, but only six months in the Old Port location. 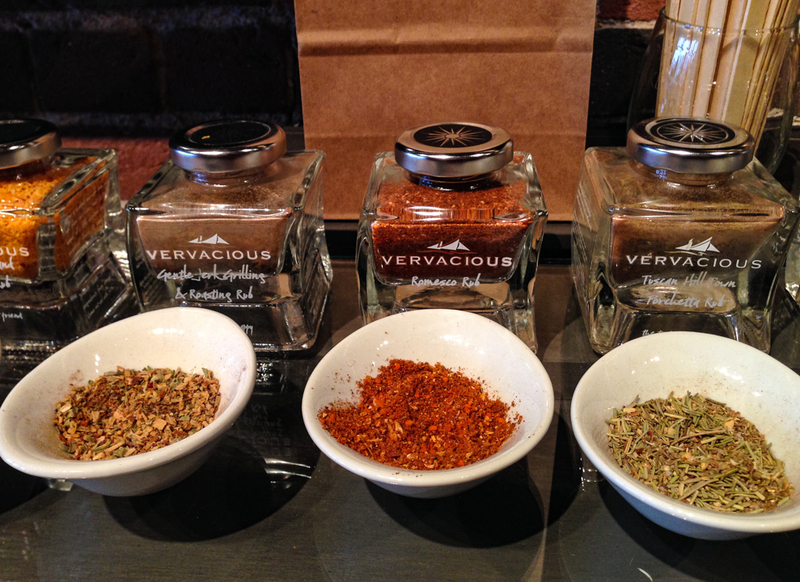 Next we had a tasting at Vervacious, founded by a pair of high-techers who chucked it all to sail around the world and bring back their favorite flavors. 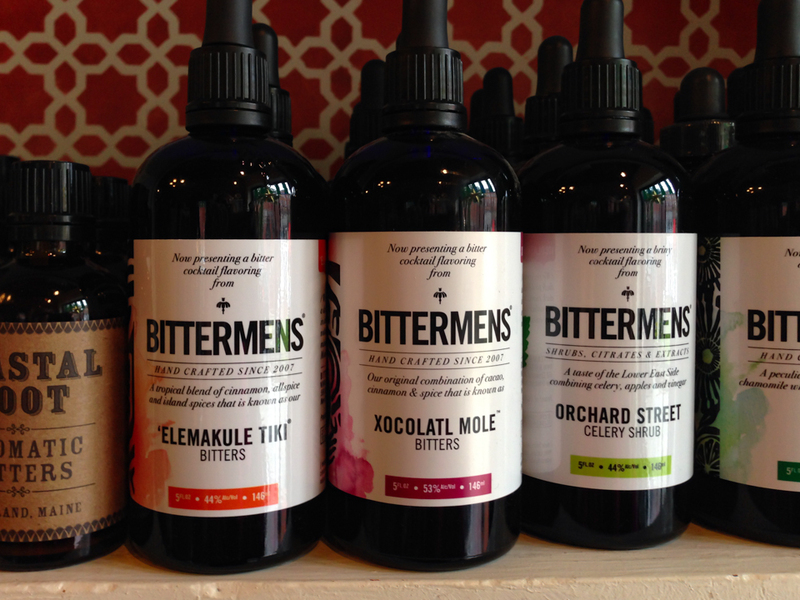 They offer luxuriously packaged spices, oils, and balsamics. We also enjoyed a serving of lobster mac and cheese they proved lobster makes anything better. 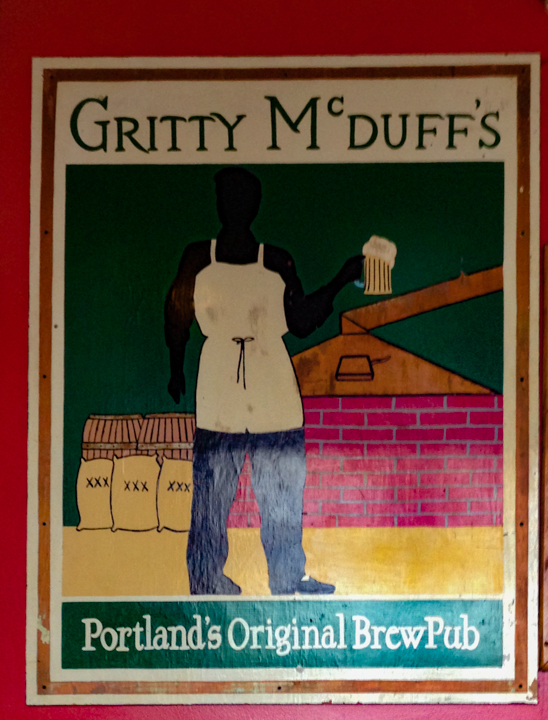 One step into Gritty McDuff's and you know where the locals hang. The pub was hopping. If you belong to the Mug Cub, beer is just $2 a mug on Sundays. Ed Stebbins, the brewmaster, told us he opened it as the first brew pub in Maine since prohibition. 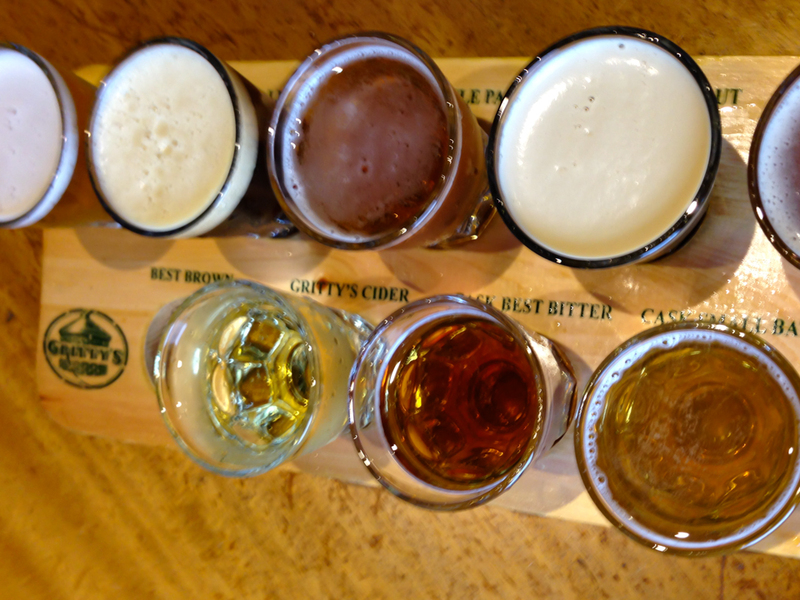 We tasted a hot pretzel and a flight of beer. 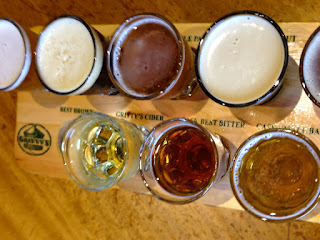 I liked the Black Fly Stout, which the Beer Advocate.com rates at 100. Lastly, we stopped in Vena's Fizz House which up until recently only sold non-alcoholic drinks but now runs a full bar. 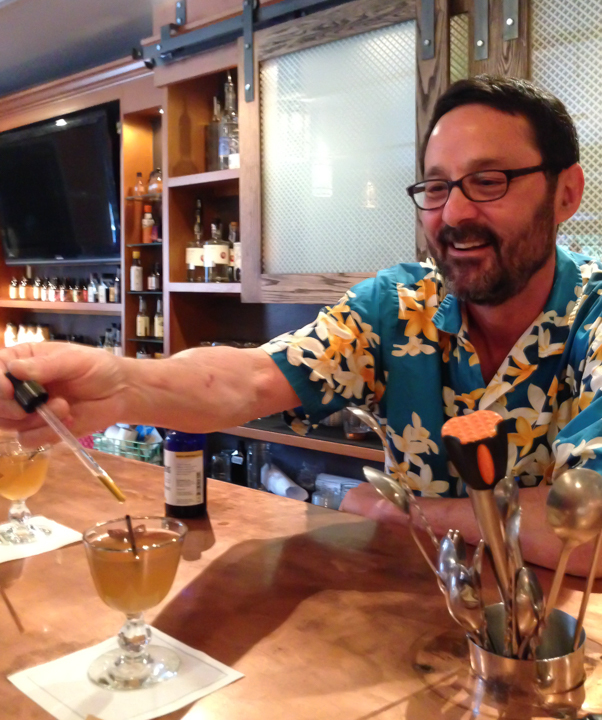 Bitters are the thing here, and owner Steve Corman can whip up some awesome concoctions. 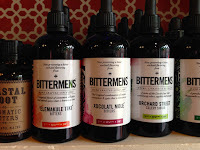 It's worth a stop to see the vast number of different, exotically titled and labeled bitters they stock. Don't bother to count, it's 150! Like soggy rag dolls, we flopped back to our rooms in the Westin, and I drew myself a warm bath. We were on our own for dinner in the hotel, and Judy and I limited ourselves to a bowl of seafood chowder. Perfectly delicious and perfect for a rainy night. Next morning the group attempted to eat healthfully but as always, we failed. We headed down to the marina for a hands-on lesson on lobstering. We boarded the Lucky Catch, a lobster boat, where a local photographer snapped our picture. Sure, it's touristy, but the pic was good and makes a nice memory. Judy helps Debi with Lobsterman Outfit! No sooner were the lines cast off, than we donned the appropriate attire: orange oil-cloth pants, aprons, and gloves. 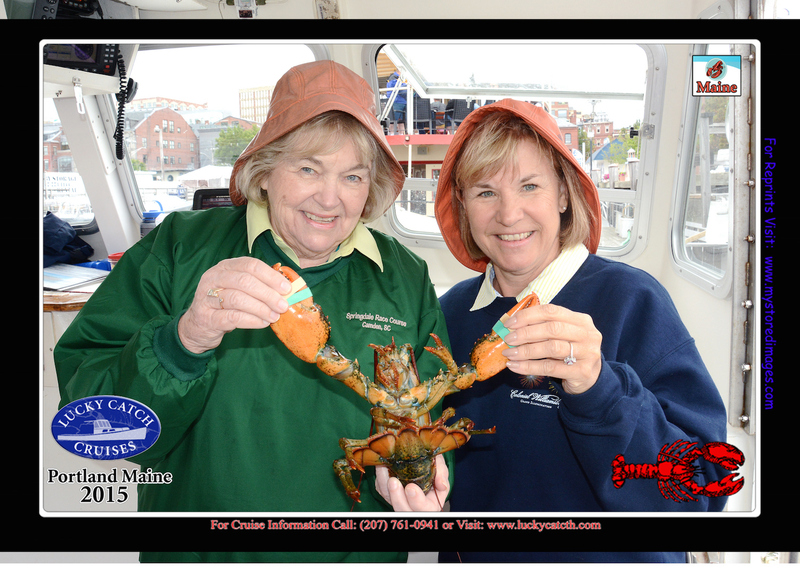 We love to dress up so thought it was fun to feel like a real lobsterman! 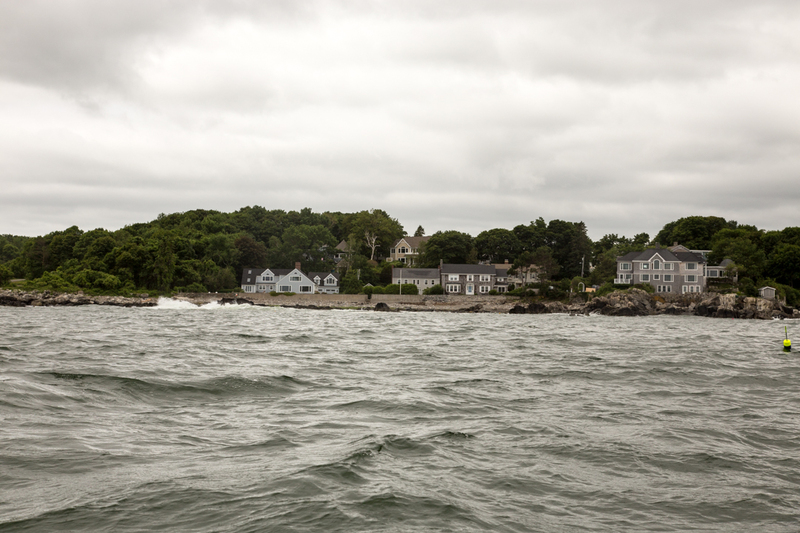 The boat moved out into Casco Bay where we saw historic Fort Gorges, beautiful homes along the shore and six lighthouses. 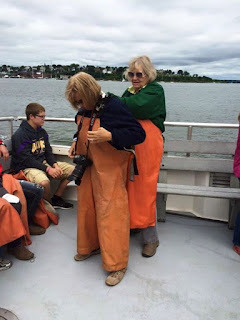 We helped reel-in the lobster traps and learned how to measure the crustaceans. Too little or too big, back they go. We threw every one back on this outing as it was early in the season. Maine laws differ from Canada; they are stricter but trapping (with a license) is open year-round. 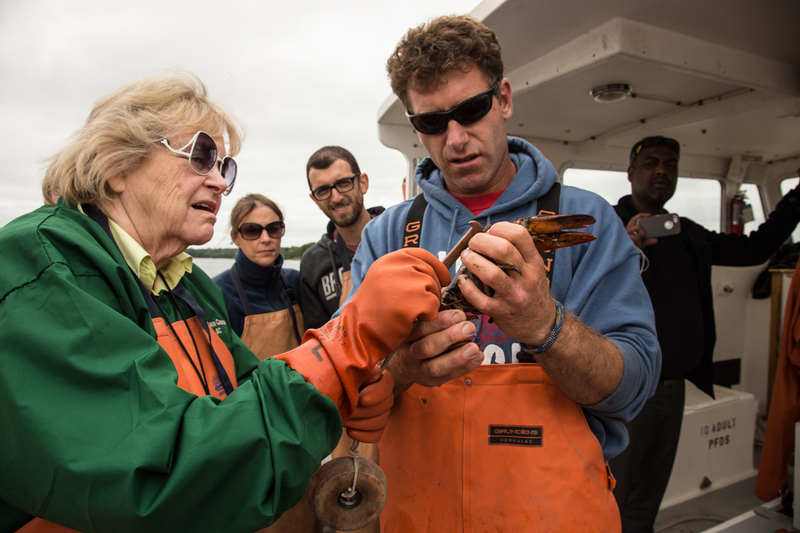 The captain claimed the Maine lobster population was growing. 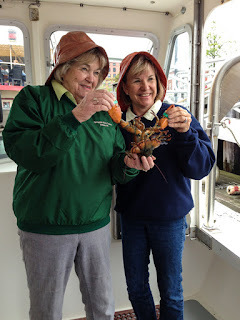 Judy learns how to measure a lobster. We also helped re-bait and lower the traps, experiencing the difficulties of the job. So glad the rain was gone! Would not be enjoyable to be lobstering in cold, wet weather. All in all, we learned that the Good Girls are much happier eating the delicacy that catching it. 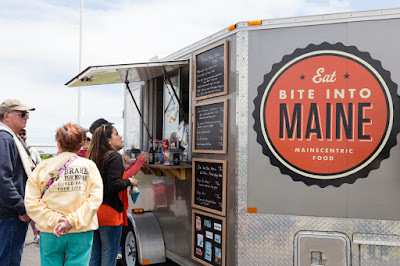 Speaking of eating, it was lunchtime, and we'd received a tip that the best lobster roll in town was out in Fort Williams Park at Bite into Maine, a lobster roll food truck. We found it parked on a gentle hillside across from the Portland Head Light, the oldest lighthouse in Maine. FYI: This area is actually in Cape Elizabeth, Maine. Lobster Roll Food Truck "Bite into Maine." The line was long but worth the wait. Fabulous picnic fare on a picnic table in the park with a Maine Root Beer to wash it down. Afterward, I strolled over to the Lighthouse, one of the most quintessential photo ops in Maine. This one is a beauty from land or from the water (as we had seen earlier). 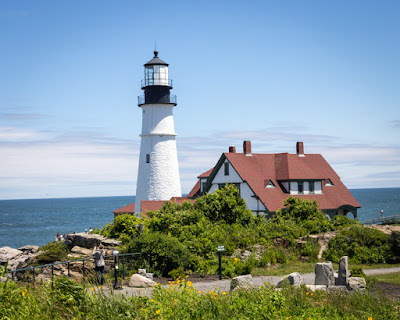 Lighthouses and lobster; Maine has a good thing going. 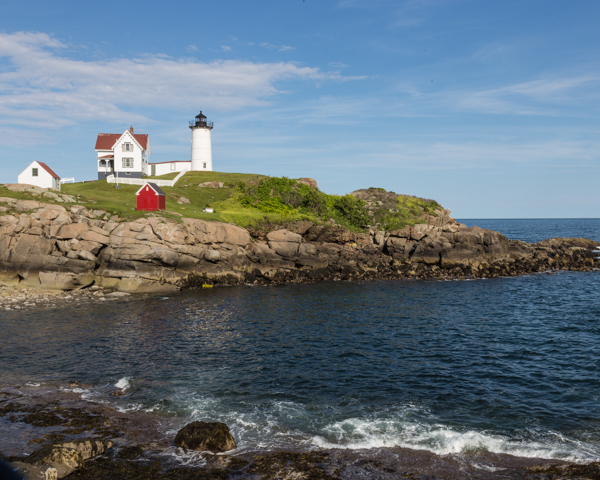 The Beautiful Port Head Light, Oldest Lighthouse in Maine. 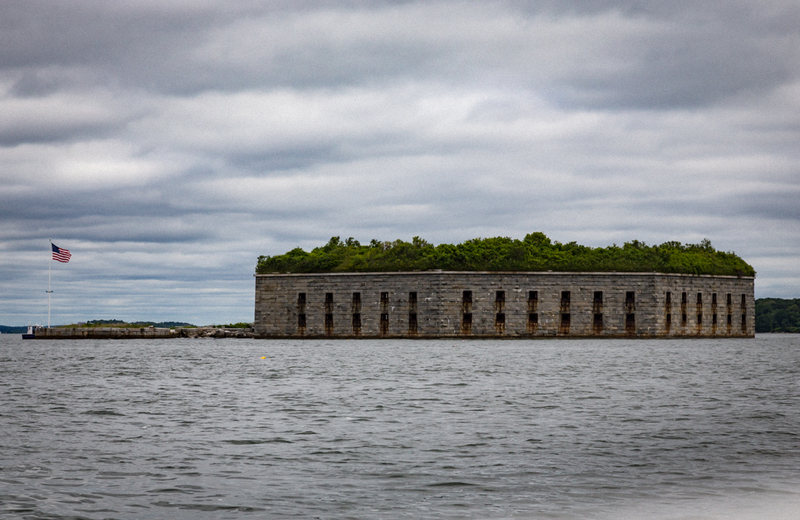 Fort Gorges in Casco Bay near Portland.